Kanchanaburi War Cemetery, Plot 1, Row J, Grave 44, Age 28. 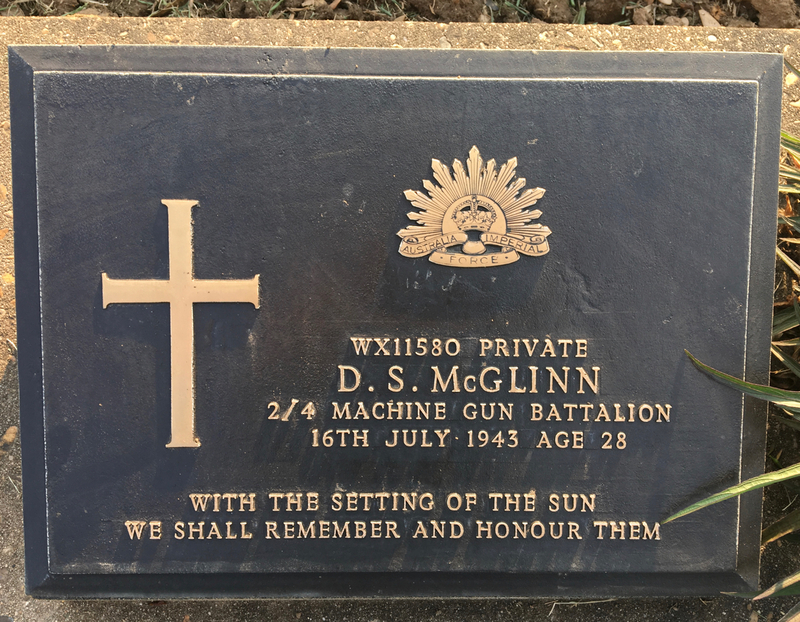 Front Row Left D S McGlinn WX11580 – others unknown. Buried by John Waddell & S. A. ‘Sue’ Currie. 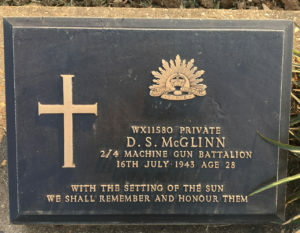 Don McGlinn is first cousin to Frank McGlinn WX8478. Their fathers are brothers, Don’s father James Edmund McGill is two years younger that Thomas McGill, the father of Frank. James and Thomas are two of about 15 children born to parents David Patrick McGlinn and Sarah Ashworth of York. Don was the third of 8 children. His father died in 1946.